In light of the centrality and vast importance of the debate around the July 14, 2015, agreement between Iran and the main world powers – “The Joint Comprehensive Plan of Action” (JCPOA )1 – and with a view to analyzing in a straightforward manner the various aspects of this agreement, this analysis lists the major flaws of the agreement, as well as its positive elements. It concludes with a discussion of some of the dilemmas inherent in the agreement and its implications. The agreement is set to enable Iran safely, legally, and without economic hardships or changes in its rogue policies, to overcome the main obstacles on its way to possessing a nuclear weapons arsenal and becoming a regional hegemonic power. The agreement will legally provide Iran with the capability to shorten the time required to produce such an arsenal within the next 10-15 years (including the production of fissile material, weaponization, acquiring delivery systems, and improved military capabilities to protect the military nuclear program), so that it would be practically impossible to stop it. This is in exchange for a questionable and barely verifiable Iranian commitment to avoid producing arms and some limited restrictions on its nuclear program for 10-15 years. Inasmuch as the agreement paves the way for Iran to produce an arsenal of nuclear weapons through the enrichment of uranium before the 10-15 year period, after the period, and certainly later through the production and processing of plutonium, the agreement is clearly a danger to the world order and to the future of the Middle East, as well as to U.S. interests and to the security of Israel. The deal solves all of Iran’s problems, if it is ready to wait 10-15 years, by shortening the threshold that separates it from a nuclear arsenal to practically no time. It does not effectively prevent Iran from breaching the agreement and achieving its goal even earlier, if it decides that the conditions justify it. Three paths are open for Iran to secure the enriched uranium for a nuclear weapons arsenal: break out, sneak out, or wait out patiently until the sunset of the restrictions on its (military) nuclear program in 10 or 15 years which are included in the agreement. It has to be emphasized that Iran does not have any civilian justification for its vast nuclear program, a fact affirmed by the United States and the European Union. Therefore, the entire logic of the agreement is baseless and stands in striking contradiction to the November 24, 2013, Joint Plan of Action (JPOA), which states that the enrichment capabilities will be in line with Iran’s civilian needs. Moreover, the agreement imposes only very minor limitations on the continued development of highly sophisticated and advanced centrifuges and basically allows Iran to proceed with them. Part of these centrifuges may be installed in the deep underground facility in Fordow. Despite President Obama’s declaration that there is no justification for Iran’s Fordow military enrichment facility – the sole purpose of which is to create weapons-grade uranium – the agreement makes no requirement that Iran dismantle that military facility. The agreement poses no limitations whatsoever on Iran’s ability to stock unenriched uranium (UF 6) which is used as the raw material in the enrichment process to produce weapons-grade uranium. The use of secret, undeclared, and uninspected facilities. The agreement does not provide the ability to hold inspections “anywhere, anytime” in undeclared facilities, and the procedures for getting permission to perform inspections in such sites are going to last at least 24 days, and probably fail. Firstly, this is because the Iranians make it very clear that they will never permit inspections in their military and security facilities; secondly, because according to the agreed-upon procedures, the IAEA has to present to Iran the information upon which it bases its request. This probably will not happen because of the sensitivity of such information; and thirdly, it is going to be very difficult to get this intelligence. Acquisition of the necessary raw materials from abroad, as well as the secret operation of enrichment facilities outside Iran. The agreement states that any cooperation with foreign entities has to be approved by the monitoring committee, but there are no means that enable IAEA or the E3+3 to monitor such activities. Iran will be then allowed to increase the number of its installed and operating centrifuges without limitation and install advanced ones in order to enrich its uranium more rapidly. This will enable it to produce vast amounts of nuclear weapons-grade uranium within a very short period (even a few weeks). Iran will be completely unrestricted in its ability to produce enriched uranium. It will be allowed to produce highly-enriched uranium without any limitation on the level of enrichment (in the first 15 years it is not allowed to enrich to a level exceeding 3.67 percent, which constitutes 40-50 percent of the time needed to enrich to 90 percent), and after the twentieth year, even the limitations on the amount of enriched uranium it may possess will be lifted. This will enable Iran to have enriched uranium for a nuclear arsenal within a week or even less. In other words, the threshold will disappear and no military threat will be considered credible by Iran. Iran is permitted to maintain a heavy water nuclear reactor in Arak, in clear contradiction to the original demand that it replace its heavy water reactor, ostensibly intended for civilian purposes, with a light water reactor. The exact design and details of the new reactor are not known yet, but as long as the reactor is a heavy water one, changes may be carried out in a way that will increase the plutonium production to enable production of sufficient plutonium for use in nuclear weaponry. After the 15-year term of the agreement, Iran will be allowed to acquire additional heavy-water nuclear reactors that will enable production of significant amounts of plutonium. Especially since all the other relevant restrictions will also be lifted, Iran will be able to process and separate the plutonium in order to make it suitable for military nuclear use. The provisions of the agreement regarding inspections and supervision of undeclared sites provide no genuine possibility of ascertaining or proving prohibited activity by Iran. Achieving the “smoking gun” information that will justify intrusive inspection will be difficult. The agreement has no clear definition of the severity of various breaches and hence opens the possibility of downgrading any breach by Iran to a minor issue. Moreover, the agreement does not guarantee that the IAEA will have uninterrupted access to Iranian scientists and experts so that the agency will be able to be aware of their activities and interview them regarding these activities. This may leave the agency clueless – as it is today – about one of the most important assets of the Iranian nuclear program. The agreement does not require Iran to provide full data regarding its past practices for developing fissile material into bombs. The secret agreement between Iran and the IAEA, which, for example, allows Iran itself to provide the agency with the needed evidence of what it did in Parchin, is a clear indication of the grand folly orchestrated between the parties to the agreement regarding the “Possible Military Dimensions” of Iran’s past activities. In fact, the agreement places all the responsibility for starting the implementation of the agreement solely on the director-general of the IAEA, Yukiya Amano, who is supposed to present his report by mid-October, 2015. There is no way Amano will dare to report that Iran has not come clean on its past activities (thereby delaying the activation of the agreement). The efforts to hide the details from Congress and from Israel, as well as the U.S. Administration’s strange announcement that the U.S. already knows everything about the topic, are clear indications that obfuscation will be the inevitable result. This means that the real data about Iran’s progress in its weaponization efforts so far will not be available to the international community. The agreement imposes no limitations on Iran’s ability to produce more ground-to-ground missiles with a range of 1,700-2,000 km., capable of covering the entire Middle East region. Similarly, it imposes no limitations on Iranian efforts to develop ICBM missiles with an extended range of up to 10,000 km., capable of carrying nuclear warheads and reaching the east coast of North America. 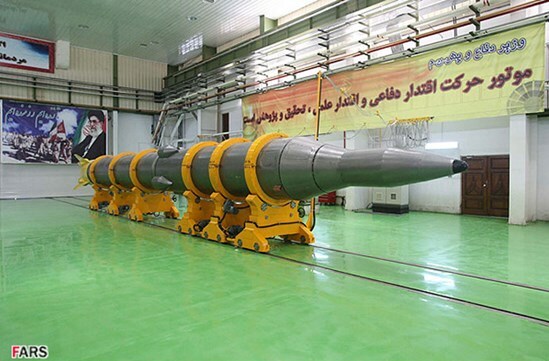 While, during the first eight years, Iran is prevented from acquiring foreign assistance for the development of such missile capabilities, Iran is permitted, between the eighth and fifteenth years of the agreement, to use foreign aid in the development of its long-range missiles. The agreement requires a mere five-year limitation on the acquisition by Iran of weapons, including weapons to protect its nuclear capabilities. During this five-year period Iran will, however, be able to sign contracts with foreign suppliers and train personnel to use such weapons for deployment immediately after the five-year period, thereby enhancing Iran’s deterrence and response capacities. Immediately after the agreement was reached, Iran declared that it will soon receive the advanced S-300 air defense missile system from Russia and planes from China – deals that make a mockery out of the prohibition on arms acquisition. The agreement provides Iran with assurances of international assistance in the protection of its nuclear installations from attempts to harm them, as well as access by Iran to cooperation with foreign states in the field of nuclear installation safety and security. The agreement includes no delay mechanism, or sunset limitation, that conditions the lifting of international sanctions to a requirement that Iran refrain from supporting terror and insurgency, to refrain from its calls for the destruction of Israel, to end its Holocaust-denial, and to observe human rights norms. The complicated mechanism in the agreement for reinstating international sanctions (“snapback”) is totally unrealistic and inoperable. Any such restoration of sanctions, if at all, would only be long after Iran has acquired many billions of dollars and after commercial relations with Iran would reach such proportions that would render possible restoration of sanctions to be impractical and impossible to implement. Moreover, under the JCPOA agreement, sanctions snapback cannot be applied “with retroactive effect to contracts signed between any party and Iran or any Iranian individuals and entities prior to” sanctions being re-imposed.2 In other words, long-term contracts signed on Iranian gas and oil sales, for instance, which Iran is quickly locking in, will be immune to reinstated sanctions. Apart from a theoretical re-imposition of sanctions in the event of a material breach of the agreement, it remains unclear what would be the consequence of lesser breaches of the agreement. The U.S. has already announced that breaches of the limitations on weapons purchases would not lead to a renewal of sanctions. It remains unclear what would bring about a U.S. decision to use military force in order to block Iranian advances toward nuclear weapons capabilities. Even before ascertaining how to properly implement the agreement, and despite the fact that Iran has given no commitment to change the extreme and hostile nature of its policies, Iran is openly declaring its intention to become a major power in the region as part of its designs to alter the world order. Iranian leaders declared their intention to increase efforts to assist their allies in the region (such as Hizbullah, Syria’s Assad, the Houthis in Yemen, Palestinian terror groups, and the Shiite movement in Bahrain). Parallel to this, Western and other countries are not concealing their intention to cooperate with Iran in confronting the Islamic State in Iraq and Syria, to expand their commercial and political relationships with Iran, and even to grant Iran a leading role in dealing with issues that affect Iran directly. This enables Iran not only to free itself from economic pressure and isolation, but to move rapidly towards becoming a hegemon power in the Middle East. For that purpose Iran has several new tools: the huge amount of money it will receive as a result of the agreement; new relations with the West; and its victory over Western and especially the American pressure, which prove Iran’s strength to many in the region and how weak are the West, in general, and the United States in particular. In summation, the agreement enables Iran to achieve its goal of becoming a hegemon power in the region even before acquiring the nuclear weapons it wants to possess as a tool for achieving this goal. The hopes enunciated by the U.S. Administration that the agreement will bring about a moderation of the extreme nature of the Iranian regime are nothing more than a naïve illusion and wishful thinking. To the contrary, the strengthening of the status of the Iranian leadership, the bolstering of Iran’s economy, the upgrading of its status in the international community, as well as the likelihood of Iran’s advancing toward nuclear weapons capability, will only serve to bolster its status and enhance its repression of opposition elements. The confidence of the U.S. Administration in its ability to monitor Iranian compliance by intelligence means is misplaced. History has proven that revealing foreign nuclear agendas, including those of North Korea, Iran, Syria, Pakistan, India and Iraq, by U.S. intelligence was far from impressive. The covert nature of such activities would clearly pose extremely difficult problems for any viable intelligence collection. Israel, which is not a party to the agreement, will clearly face increased dangers and will be obliged to invest huge resources to enhance its intelligence and defense capabilities in light of the real threat emanating from Iran. Given the agreement’s acceptance and the acknowledgment of Iran as a threshold nuclear state, it is highly likely that Egypt, Saudi Arabia, and Turkey, as well as other states, will find themselves in an arms race to acquire their own respective military nuclear capability. This, in itself, will pose a direct challenge to the Nuclear Non-Proliferation Treaty3 and to regional and world stability, and will ignite a nuclear arms race in the Middle East. The agreement clarifies that the NPT remains the international regime regarding nuclear activities and that the agreement will not serve as a precedent for other states. But how can anyone now deny a demand by any other country – which, unlike Iran, has not cheated – to be allowed to enjoy exactly the same deal that Iran made? The substantial concessions to Iran by the United States in the agreement and its failure to stand by essential prior commitments and promises cast a very serious shadow over the reliability and dependability of the U.S. vis-à-vis its allies and regional partners. This rubber-stamping by the UN Security Council, through the rapid and hasty rescinding of six major, binding Security Council resolutions, each adopted under Chapter VII of the UN Charter,6 significantly weakens the veracity, effectiveness, and significance of the organization as a whole, of the Security Council in particular, and of any UN capability of supervising or monitoring the agreement. The agreement requires a reduction by Iran in its production capability of enriched uranium through installed centrifuges and forbids it from producing more centrifuges for 8 years. The agreement requires Iran to significantly reduce the amount of enriched uranium it possesses that can be further enriched to a military-grade level of enrichment. The amount should not exceed 300 kg. of UF6 enriched to less than 3.67 percent, compared with the 7.5 tons of this material it was allowed to possess according to the JCPOA and the 12 tons it actually possessed, according to U.S. Administration claims (which indicates that it was in breach of the JCPOA without any Western protest, let alone sanctions). The agreement enhances and qualitatively improves the existing monitoring mechanism of declared sites. It should be noted that these sites have been effectively monitored for a long time. The agreement reduces the number of functioning centrifuges from 9,000 to 6,100, of which 5,060 will continue to enrich uranium. The agreement reduces the production of plutonium at the Arak installation and considerably limits Iran’s ability to obtain plutonium for the development of nuclear weapons along the 15 years of the agreement. Despite the reservations set out above in detailing the flaws of the agreement, Iran can assume that any fundamental breach of the agreement could bring about serious repercussions, not excluding military intervention. Nor does it enter into the basic question regarding the political wisdom in the U.S. Administration’s declared preference for dialogue and concessions, enabling Iran to view the agreement as an Iranian achievement, as opposed to the Iranian propensity and capability to make greater concessions in light of the heavy pressure posed by international sanctions. The issue of whether the use of force could have achieved or might still achieve a longer postponement of inevitable Iranian nuclear weapons capability remains moot. Practically speaking, military force could have achieved a longer postponement. The continued credible threat thereof, which served up to now to deter Iran from breaking out to become a nuclear power, will continue to prevent Iranian plans to break out when the anticipated result would be destruction of their nuclear weapons project. The likelihood that non-approval of the agreement by the U.S. Congress might, as claimed by President Obama, cause an enhanced rush by Iran toward nuclear weaponry, and bring about war, is without any practical logic. Iran’s need to remove the crippling sanctions imposed by the U.S. and other major states and prevent renewal of such sanctions, and its fear of military action, are considerations that would in any event drive Iran to cooperate for the achievement of a better agreement. Some very serious issues of principle stem from this agreement. In its uncompromising intent to advance the agreement in spite of the very serious security problems that the agreement poses to Israel’s security, the U.S. Administration and its international colleagues would appear to underestimate and even to downgrade Israel’s accepted stature as a Western-oriented, liberal democracy and bastion against the Islamic radicalization in the world advocated and practiced by Iran. Attempts to assuage Israel’s real and genuine concerns by offering compensation for the dangers posed by the agreement cannot seriously reduce the nature of the threat that will still exist from Iran. The agreement does not seek to change Iran’s continued support of, and involvement in, international terror and its declared intention to eliminate Israel. Above all, it should be patently obvious to all that no possible sympathetic statement by the U.S. Administration, or even military or other compensation, could logically stand against paving the route to a nuclear arsenal by a state that repeatedly declares its commitment to obliterate Israel. Amb. Alan Baker, Director of the Institute for Contemporary Affairs at the Jerusalem Center for Public Affairs, participated in the negotiation and drafting of the Oslo Accords with the Palestinians, as well as agreements and peace treaties with Egypt, Jordan, and Lebanon. He served as legal adviser and deputy director-general of Israel’s Ministry of Foreign Affairs and as Israel’s ambassador to Canada.